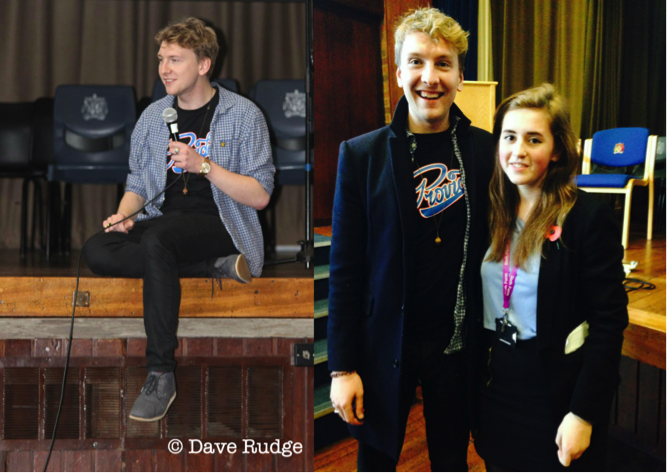 On Wednesday 12th November, the fantastic Joe Lycett was kind enough to give up his afternoon in order to pay a visit to his old school, and my current school, in Birmingham. With his evidently hectic schedule, note his recent appearances on Never Mind The Buzzcocks, Live At The Apollo and The Apprentice: You’re Fired!, everything had to come together at the last minute but this allowed the occasion to be far more relaxed, which seemed to suit Joe anyway. With a minimal agenda, Joe was able to speak spontaneously; effectively judging his environment straight away, which allowed him to make his talk appropriate for people between the ages of around fifteen and eighteen. He was able to create a relaxed atmosphere within minutes and it was clear to anyone watching that this was a domain he felt comfortable in, which gave the whole afternoon a chatty and entirely informal feel. It is clear that Joe is a natural comedian from listening to him talk, but also from hearing of his time at school where he was encouraged by numerous teachers to become a performer of some kind. This has obviously always been a part of who he is and began with his first acting experience in a school production of A Midsummer Night’s Dream. It was brilliant to be given such interesting insight into the world of a working comedian from a man with so much passion for his career and such willingness to share his advice and experiences. It was definitely very inspiring to hear Joe talk, and very entertaining to hear him gossip about the teachers at our school and the stories he has of the place. The feedback I’ve received of the event has been brilliant and everyone has spoken very highly of Joe and his presence in school, with many feeling very smug having watched him on Live at the Apollo a week later and being able to say they’d seen the comedian in person. 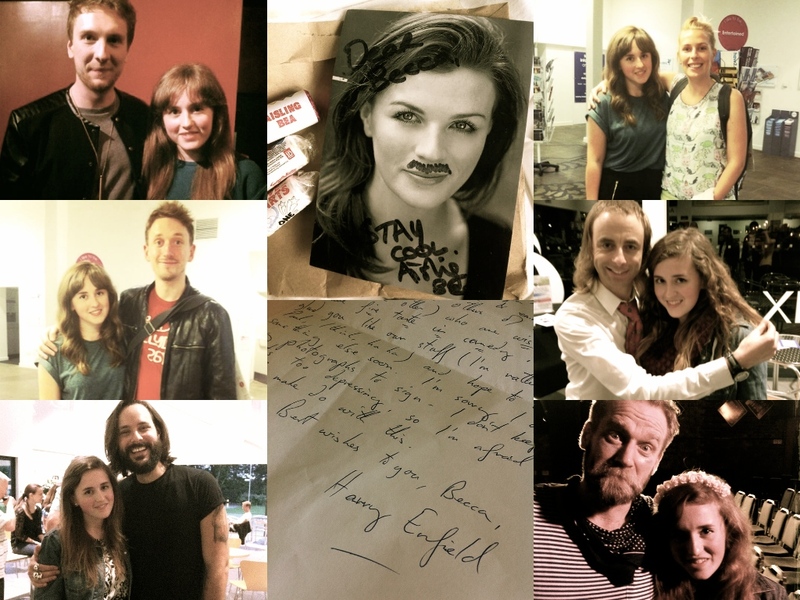 Thanks to everyone who helped make this event happen, especially to the lovely Joe. Iain Stirling is an Edinburgh-born stand up comedian with a charmingly childish look in his eye and an aptitude for incorporating personal elements into his often quite silly anecdotal stand up style. Stirling was a finalist in the Chortle Student Comedian Of The Year competition in 2009 and has since gone on to work as a CBBC presenter and actor, as well as appearing on Russell Howard’s Good News and Sweat the Small Stuff. 1) Do you care about the Royal family? Not particularly, perplexed if anything. Should people still wear crowns in 2015? Doesn’t feel right. 2) How many wrongs make a right? 3) Which comedians do you most enjoy gigging with? Tom Webb, Joe Lycett, Steve Bugeja, Mark Smith, Liam Williams, Carl Donnelly, Joel Dommett, Romesh Ranganathan and everyone at The Stand Comedy Club in Edinburgh! 4) Do your parents take your comedy career seriously? I have a law degree, I think that gives you a fair idea of their stance on the matter. 5) Something that makes you feel out of place? 6) Ever been responsible for the death of a pet? 7) Can people trust you?